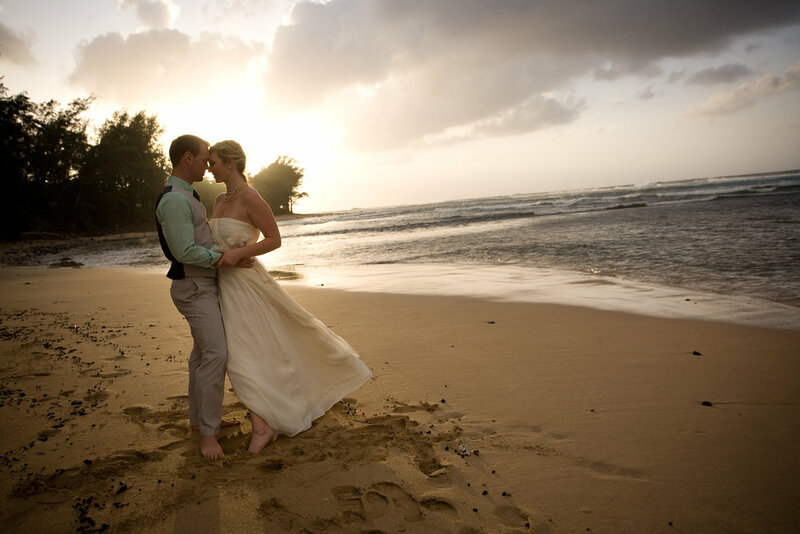 When my good friend Kristen asked me to help with her intimate Kauai wedding I was honored. 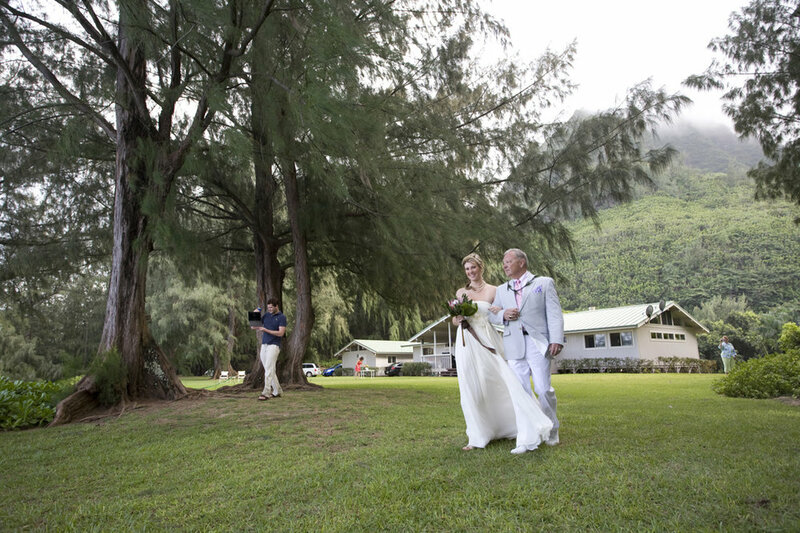 Kristen & J really wanted a small wedding on their favorite island of Kauai. Twenty-five of their closest family & friends flew over for the week to share their day. 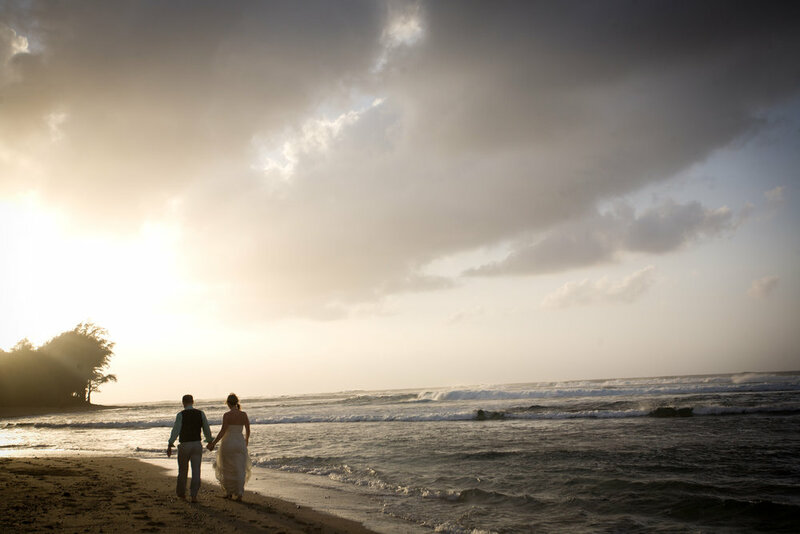 The magical day was captured by Tangled Lilac Photography. 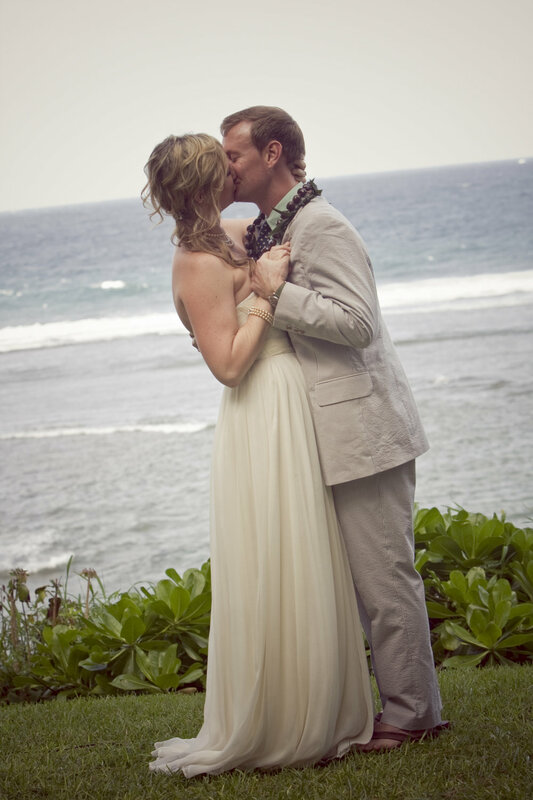 Kristen wanted to incorporate her love of vintage but still have an island feel. 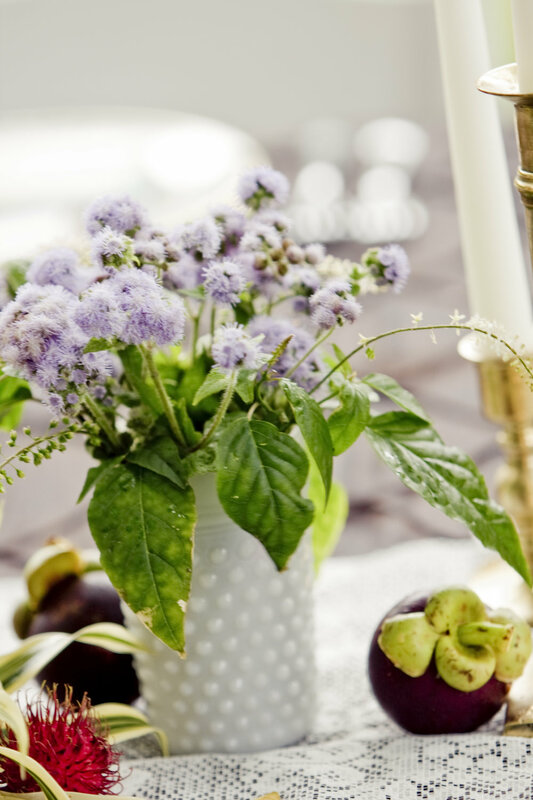 She thrifted for mismatched plates and glassware at local thrift stores. Her mom made all of the colorful napkins. 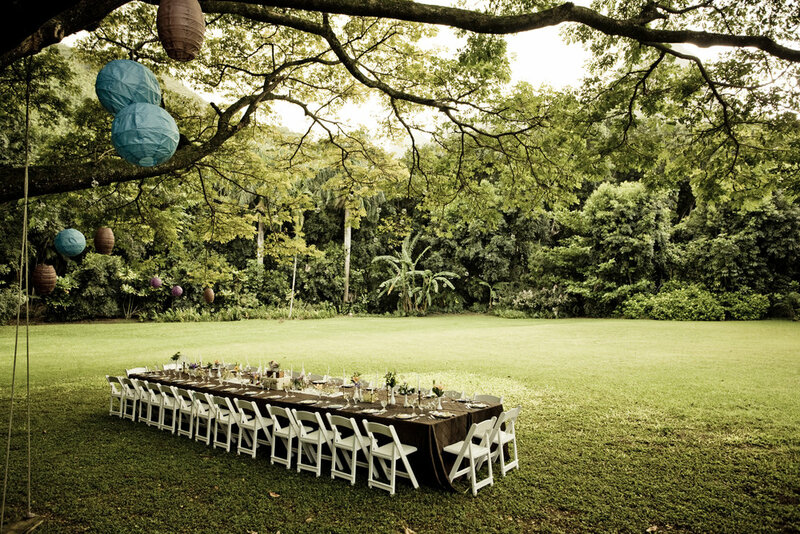 The table was set underneath a beautiful tree with bistro lights strung across it. It was absolutely stunning!